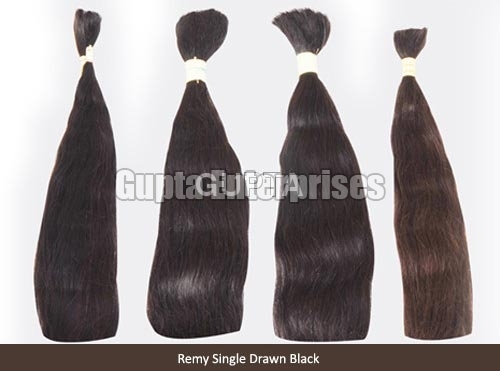 We offer hand-weft and machine-weft Real Indian Human Hair to the clients. The entire assortment of Real Indian Human Hair is neatly brushed and is tangle-free. The Indian Human Hair we supply is known for its softness, silky texture, lustrous look, thickness and easy-to-wash nature. Both curly and straight hair wigs can be made using the Real Indian Human Hair that is offered by us.